Our visit to Kerameikos has made us curious about Eridanos, the stream that appears out of nowhere at the Sacred Gate of ancient Athens. 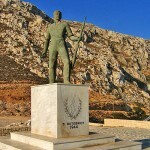 In Greek mythology, Eridanos was a river god of Attica – where Athens is located. In other myths, however, it is mentioned as a river of the Underworld – the realm of Aidēs (Hades in English) and abode of the dead. As usual, stimulated by some preliminary research, we are off on another fact-finding mission. Our first stop is Kolonaki, an upscale neighborhood that climbs the southwest slopes of Lykavittos hill. Somewhere up on this huge limestone outcropping is the hidden source of Eridanos. 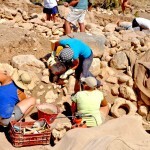 In ancient times, Lykavittos was outside the city. Its name (which means “the one walked by wolves”) suggests people considered it a wild and dangerous place. 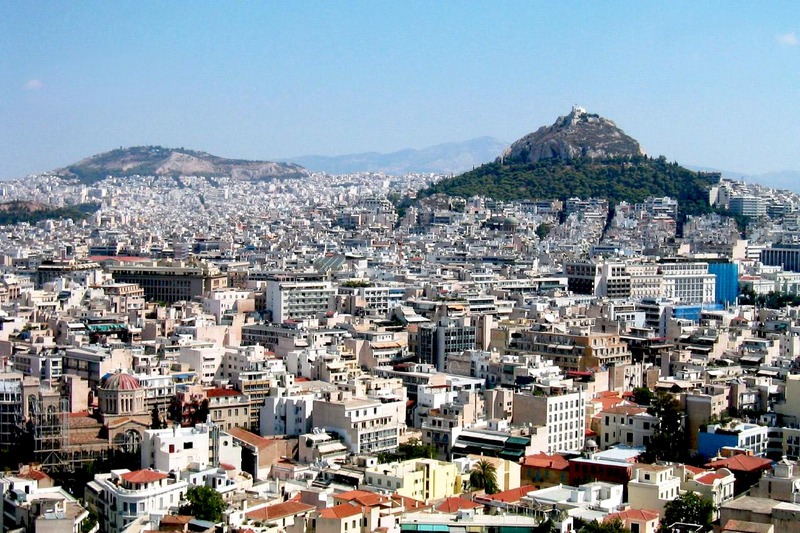 But the hill provided Athens with fresh water that flowed through what is now Syntagma Square, down Mitropolias street past the cathedral (lower left in the photo), into the ancient agora and Kerameikos, and then southwards to the Ilissos River. Sometimes the stream was flooded with rainwater runoff from nearby hills (Areopagus, Acropolis, Pnyx). 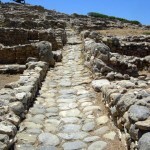 This inspired ancient engineers to channelize the stream to limit flood damage in neighborhoods and public areas. 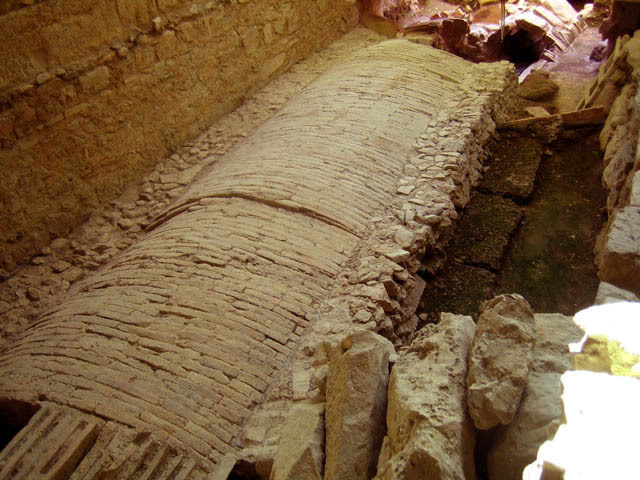 Eridanos eventually slipped beneath the ground, either into man-made water tunnels or natural pathways – and was forgotten in modern times. When the Athens Metro used radar-sound equipment in 1993 to investigate the subterranean zones of Syntagma Square (for a planned subway station), they discovered a small river still flowing beneath the heart of the city. 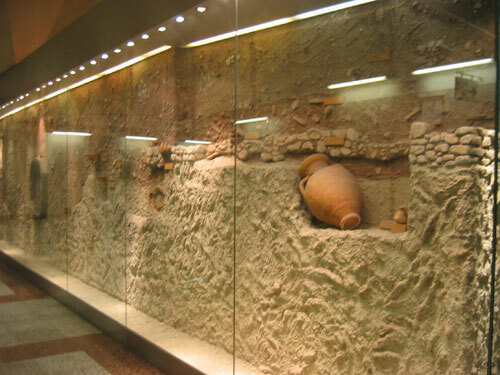 Part of the old riverbed (now dry) is on display in the Syntagma station. Walking from Syntagma station to Mitropolios square, we see no evidence of the old stream. However, in the square are some large plane trees (platanaceae), whose existence can only be explained by the flow of underground water. 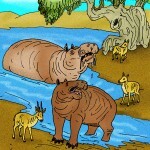 Such trees require a lot of water, and often grow on the banks of rivers. 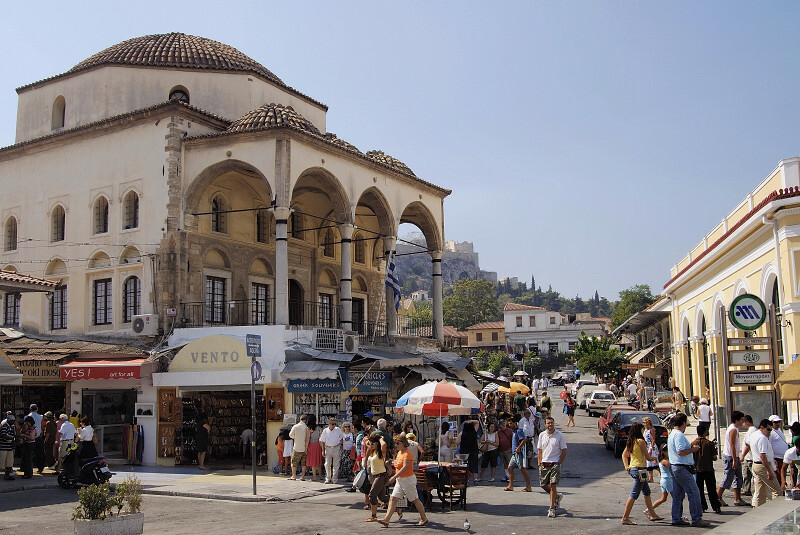 We continue from the cathedral to Monastiraki, a bustling square at the corner of the plaka and the ancient agora. Passing the tiny Pantanassa monastery (monastiraki literally means “little monastery”), we head towards the new metro station across the street on Athinas. 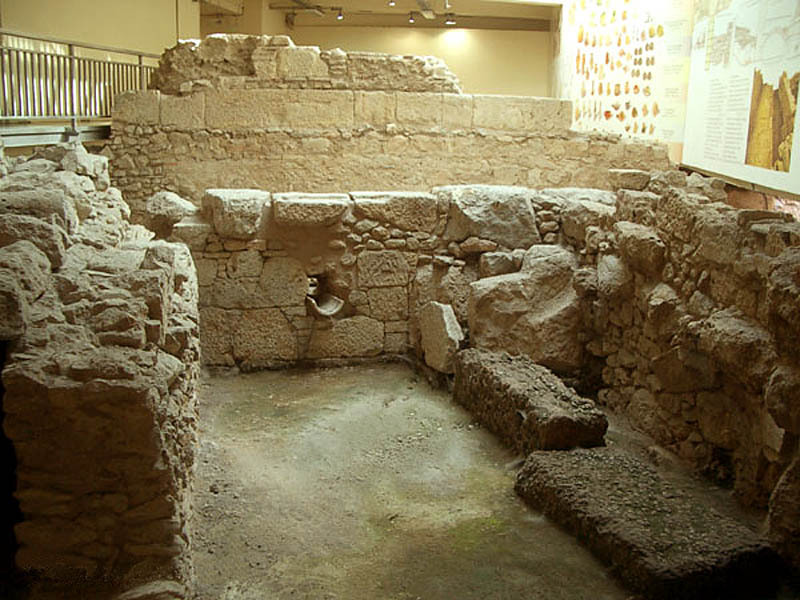 Parts of the Eridanos waterworks were discovered there while tunneling for the Syntagma-Ethnikis Amynas subway line. These discoveries are carefully preserved inside the metro station, and displayed in a museum-like setting. There is some moisture at the bottom of these channels, but no flowing water – not that we would expect to find any in summer. We are told that, in winter, people waiting for the train can sometimes hear water flowing on the other side of the tunnel wall. 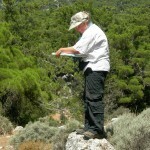 It is only few hundred meters from Monastiraki to the open channel where Eridanos flows into Kerameikos. We know that the stream cannot be seen most of the time, because it flows underground (in the “Underworld”). And it traverses the ancient cemetery (or necropolis, which means “city of the dead”). So one might also say that Eridanos courses through the realm of the dead, ruled by Aidēs (whose name just happens to mean “hidden”). Makes you wonder when, where and how ancient myths were created in the first place, doesn’t it? Are there any leads on where the hidden river in Athens might be?